On a 10-day adventure in South Africa, discover why Cape Town is consistently named one of the most beautiful cities in the world. 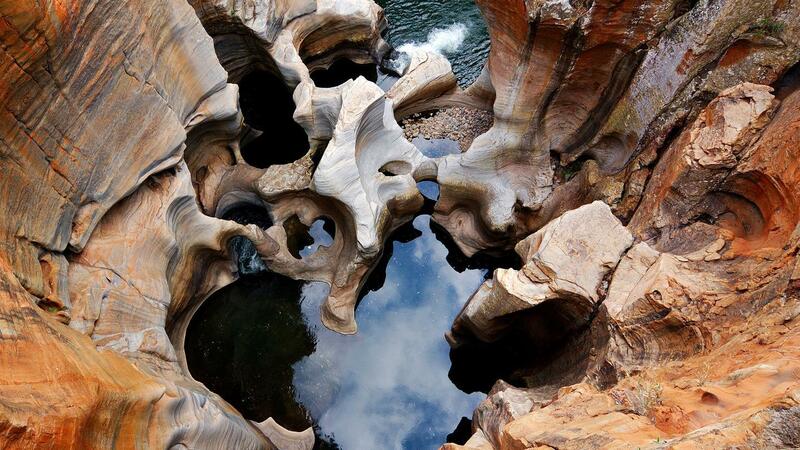 Then fly on to Johannesburg, gateway to some of the world's most renowned wildlife reserves. Scan the horizon of Kruger National Park for the Big Five and spend time in the wild with a conservationist from the National Geographic Big Cats Initiative. Experience Africa from the bottom up – while feeling as if you’re on top of the world. Meet your Cape Town G Adventures representative at the hotel (at approx. 18:00) - please have a look at the information board in the hotel. Your rep will go through your tour details, help you with booking optional activities, and be your contact person for the next few days. Stay dry while exploring the incredible diversity of marine life that dwells in and around the Indian and Atlantic Oceans. 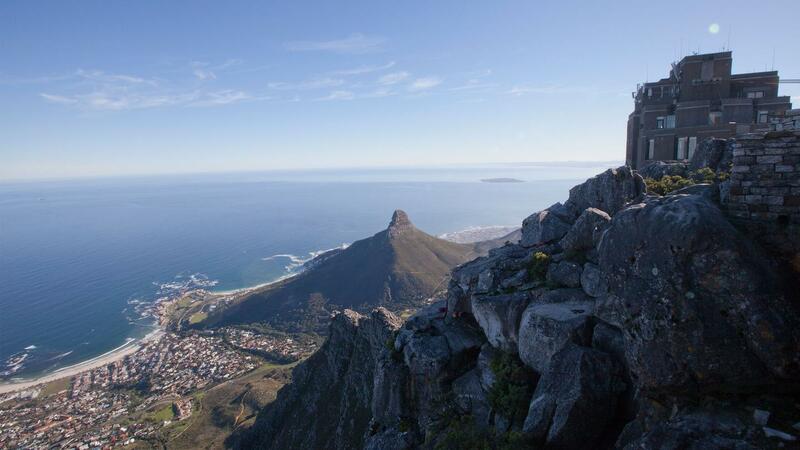 Hike up one of the world's most recognizable mountains, Table Mountain. Rise early to meet your guide for a transfer to the start of the hike. Wind your way up the mountain, stopping regularly to take in the surrounding views of the city, Atlantic coast, and Table Bay. Take note of the changing vegetation on the mountain - a highlight of this trek. Once reaching the summit there are stunning panoramic views. Make your way down to the base of the mountain via the cable way. Take the five-minute cable car trip to the top of Table Mountain, 1,085m (3,562ft) above Cape Town, and explore the summit. This is a great spot to sit and soak up the commanding 360-degree views of Cape Town, Table Bay, the peaks of surrounding mountains, and the rest of Table Mountain National Park. The visit up the mountain is weather dependent. Please note that the cable car is closed every year for a 2 week period between July and August for annual maintenance. 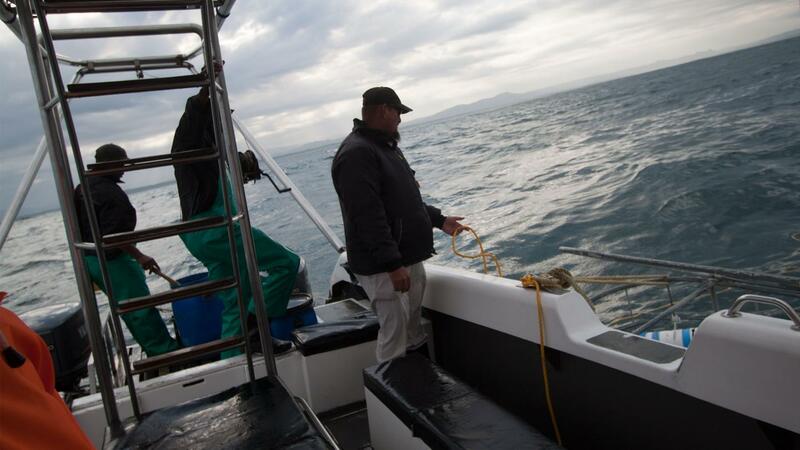 Apex Shark Expeditions specializes in photographic and cage-diving excursions to view great white sharks in False Bay, South Africa. They’re among the area’s foremost experts on these massive creatures and are passionate advocates for conservation and ethical diving practices. Opt to get up close with a great white on this once-in-a-lifetime activity. Visit Kirstenbosch National Botanical Garden with an expert guide on a tour exclusively designed for our groups - the garden has been named one of the top gardens in the world by National Geographic Traveler magazine. Continue on to explore vibrant Cape Town and Cape Point, with a visit to the penguins at Boulders Beach. Stop and smell the flowers on a tour specially designed for National Geographic travellers. Visit Kirstenbosch Botanical Garden, led by an expert who will talk about the history of the gardens, its exhibits and a behind the scenes look at the mother beds. The garden is administered by the South African National Biodiversity Institute (SANBI) who have received funding from National Geographic and the site has been named one of the Top 10 gardens in the world by National Geographic Traveler. 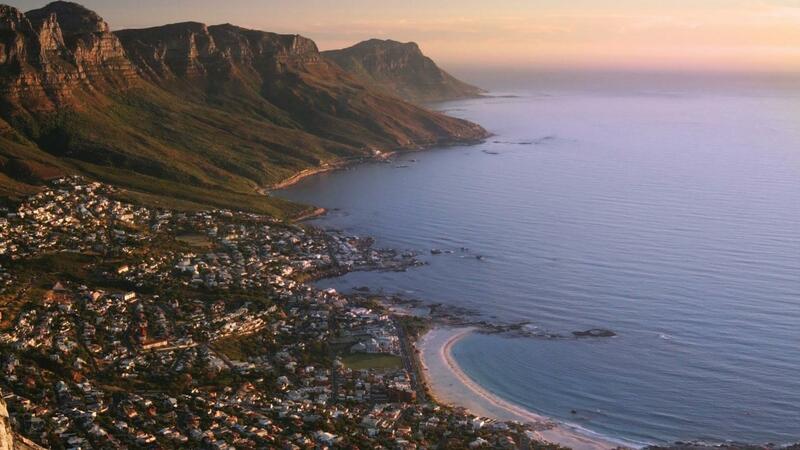 Enjoy a guided orientation tour of vibrant Cape Town. Continue on to Cape Point to enjoy a stunning vista and visit the penguins at Boulders Beach. Enjoy a day of leisure and choose from a variety of optional activities including a visit to Table Mountain or a Stellenbosch wine tour. There is something for everyone in Cape Town. 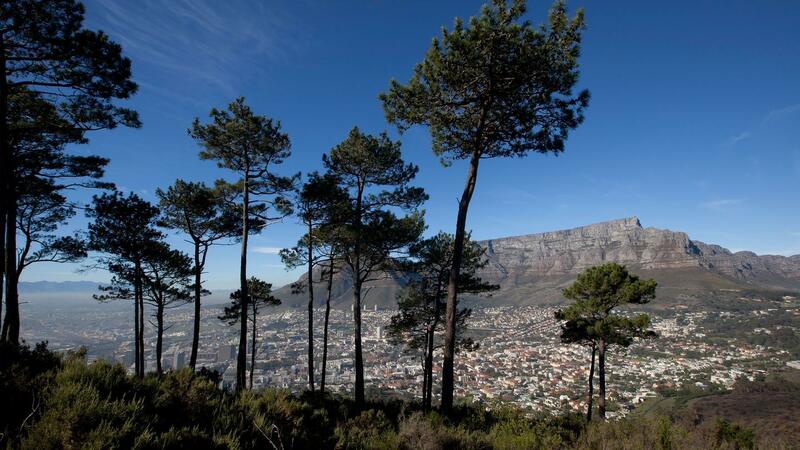 Visit Table Mountain, walk the V&A Waterfront or embark on a wine tour in and around Stellenbosch. For the adventurous, opt to go skydiving, abseiling, or, if you're really brave, cage diving for a close encounter with a great white shark. Wander through the city centre, which has some of the oldest buildings and gardens in South Africa. Check out the Cultural Historical Museum, Planetarium, and many other museums and theatres. If you are interested in visiting Robben Island - you must book it directly with the museum on their website prior to travel: http://www.robben-island.org.za Due to high demand, it is common that this tour can be sold out over one month in advance. Enjoy a day of your leisure in this cosmopolitan and charming city. Take a full day guided tour of three different South African wine regions, including a visit to the historical Dutch Capital of Stellenbosch. Explore an old wine estate on a guided cellar tour, and indulge in multiple tastings and pairings of chocolate, cheese, and the local delicacy, Biltong (salted meat). Take in the picturesque surroundings and enjoy a traditional South African lunch before returning to your hotel in Cape Town. 9 breakfasts, 2 lunches, 6 dinners. On a 10-day adventure in South Africa, discover why Cape Town is consistently named one of the most beautiful cities in the world. 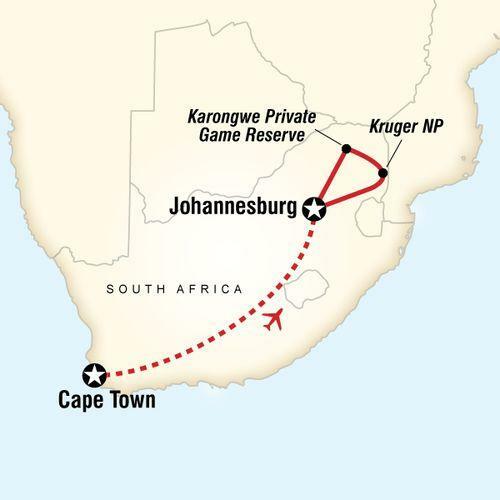 Then fly on to Johannesburg, gateway to some of the world's most renowned wildlife reserves. Scan the horizon of Kruger National Park for the Big Five and spend time in the wild with a conservationist from the National Geographic Big Cats Initiative. Experience Africa from the bottom up - while feeling as if you’re on top of the world. National Geographic Journeys Exclusives: Kirstenbosch Botanical Gardens Guided Tour, Cape Town. National Geographic Journeys Exclusives: Carnivore Conservation Experience, Karongwe Private Game Reserve. Arrival transfer. Orientation tour of Cape Town and Cape Point including Boulders Beach. Traditional South African braai (BBQ). Panorama Route scenic drive. Kruger National Park wildlife safari drive in open vehicle. Private nature reserve wildlife safari drives in open vehicles. All transport between destinations and to/from included activities. Visit Kirstenbosch National Botanical Garden, Scan the horizon of Kruger National Park for the Big Five, Meet researchers from the Endangered Wildlife Trust's Carnivore Conservation Programme. South Africa is to enforce new rules requiring proof of Yellow Fever vaccination for all travelers - even in airport transit - who have been in Zambia or other countries where the disease is endemic. The stricter guidelines, effective 01 Oct 2011, will see pax without an international Yellow Fever certificate refused entry. Bring a reusable water bottle, that you can fill with Cape Town’s tasty tap water. Reuse your towels in the hotel, for at least two days, before getting new ones. Keep your laundry until you have a full load to do, rather than just doing a handful of items. Turn off the tap when brushing your teeth, or shaving. Keep your showers to two minutes or less, and don’t use the bath. Use hand sanitizer, instead of washing hands. We don't expect any problems, and nor should you, but if for any reason you are unable to commence your trip as scheduled, as soon as possible please contact our local office in South Africa (Emergency Contact). If you have pre-booked an airport transfer and have not made contact with our representative within 30 minutes of clearing customs and immigration, we recommend that you make your own way to the hotel, following the Joining Instructions. Please apply to your travel agent on your return for a refund of the transfer cost if this occurs.